It’s 2018 already and social media industry has become bigger than ever. With the leading social media platforms like Facebook, Twitter, LinkedIn, Instagram, Pinterest, and Google+, the number of active social media users in 2017 reached 2.46 billion. As per Statista, this number will grow at warp speed and surpass 3 billion by 2021, which is equal to one-third of the total population on Earth. Internet has become accessible to everyone today, and social media is the lovechild of internet. Social media trend won’t end anytime soon, and your business must take advantage of it for several purposes, including social selling, content marketing, customer support, and building your brand. This should be the first step towards growing your social media presence— identify your goals and objective. This literally means that before you start posting, you are sure of who your target audience is, and what you are going after. Make sure to learn how each social media platform works. There are plenty of them, and all of them work in different manner. Also, not everyone uses all the platforms, so ensure what audience you can reach where. For example, LinkedIn is used by professionals only, and Facebook by every common man. Hence, brand awareness is significant for both B2B (business to business) and B2C (business to consumer). Identifying your objective will help you off to a good start. Don’t just throw a link of your latest blog on social media and expect people to read it. Show them your other side by getting on there and interacting with the audience. If they post something similar to your services or any query regarding your products, respond to their posts like a human. It’s not always necessary to talk like a corporate robot, you can use your humor and wit, keeping professionalism in mind. It will make your audience more connected to you, and they will like to read more from you, including the blogs. For better interaction, you can gain customer insights. A huge amount of data is generated on social media every day, like 455,000 tweets per minute, 46,740 million posts on Instagram every minute. Using the insights, you can find who your customers are, what they like, and what their feelings are about your products or services. Social media ads can help you promote your business and distribute the content. You can choose target options for these ads, so that you reach right audience. For example, LinkedIn allows you to segment by things like company, location, gender, age, job title, etc. Whereas, Facebook ads give you options to target people based on demographics, interests, behavior, connections, etc. The advertising can especially be helpful for those who have just started and doesn’t have much followers. The number of followers and likes makes positive impact on the visitor. Just like you put icons of social media platforms on your website, the same way, put your website link on Facebook, Twitter, Instagram, etc. The people who like your posts will find it easier to learn more about your company by visiting website. Without being spammy, share social media accounts with all the people you know. This will not only help them know that you have presence there, but will also increase Likes and Follows. For bio, you have limited space, like 150 characters for Twitter, so approach the bio the way you write a title or headline, making sure to include valuable information everyone should know. You can also use hashtags in Twitter bio, which are searchable. Profile picture should be relevant to your company. It can either be company logo or product photo. Generally, the best way is to create a company logo with tools like Canva and use it as your profile picture across all of the social media channels. Set the username with name of your company, unless it’s not available. Share the images, videos and other content, keeping a strategy in mind to be consistent with the topics. Don’t share random posts. Pick certain topics related to your industry, and post just about them. 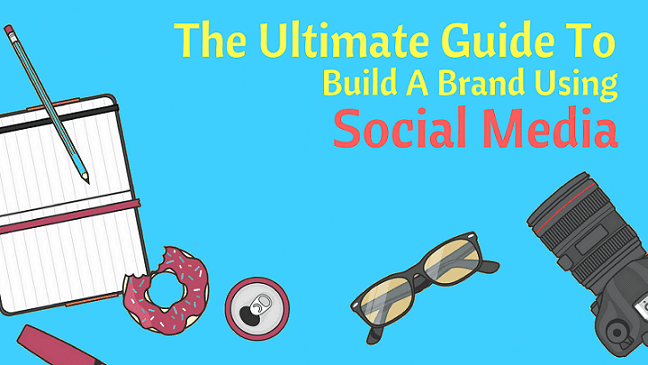 Just like you write valuable content in your blogs, the same way, do it on social accounts. Keep the captions short and catchy. Use relevant and trending hashtags and keywords. This will bring more people to your accounts. This is one of the most important things in social media branding. You need to be consistent in sharing posts. If you upload one picture a month on Instagram, or one tweet a month, you’ll be forgotten. Dedicate your time to social media, post regularly (at least twice a week), and be consistent. Last but not the least, you have to keep patience. Your company is not going become a leading brand just within a month. Remember, Rome wasn’t built in a day. Previous articleHow to Download Best Android Apps & Games for Free?